There are many reasons people dislike some of the books they read. From not quite connecting with the writing style and finding the structure and plot lacking, to being annoyed with clichéd and stereotypical tropes and problematic portrayals of people of colour and LBTQIA folk, I’ve seen a good number of constructive and well-thought out reviews that have made me rethink the way I approach reading and in a few cases helped me to pick up on nuances that I may have missed out on. A particular trend I’ve picked up on (and one that makes me automatically dismiss an opinion) is the assumption that if the character – usually one that’s a woman or identifies as a woman – is unlikeable, then the book has no merit to speak of. That and the assumption that the author is a bad writer because she created a character that the reader simply cannot relate to. While the tides are certainly changing and strides have been made to highlight sexist tropes, some people still cling to the idea of cookie-cutter good girl narratives, because it offers escapism and the illusion that fiction provides an outlet that is purely meant for entertainment purposes. 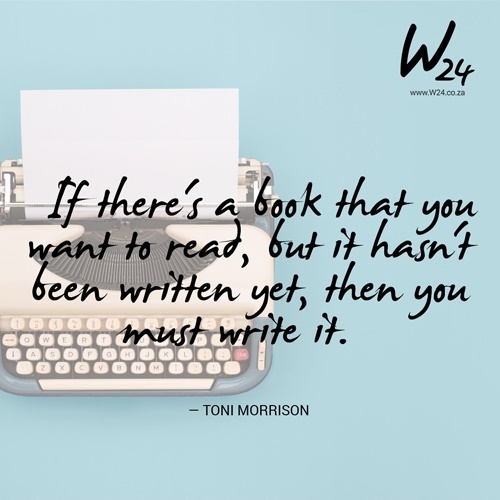 I can certainly see the validity in wanting escapism and I agree that if you’re looking for something light, fluffy and inoffensive, then the book should offer that kind of entertainment. The problem here though is that there’s more than one way to be entertained by a book, and I guess that if you’re only looking for a singular type of narrative, then that kind of linear escapism is one that is clearly suited to the reader. Some people simply read because they’re looking for an experience that’s rooted in not having to consider anything beyond a simple story. I admit that when I’m in the mood for not thinking too deeply, I’m just as inclined to read one of these books. But being inclined doesn’t mean I shy away from books that feature characters that don’t quite fit the mould. READ MORE: What's a girl to do when her blesser can no longer finance her lifestyle? And these are the characters that I feel should be celebrated a little more. The difficult characters. The drunk, uncontrollable ones whose lives are in disarray and who make choices that don’t always align with everyone else’s moral codes. The complex, broken, bitchy women whose lives are hard and who grapple with the people who want to help them. At the heart of it, these are the characters I’m truly drawn to. The ones that are deeply flawed and often flayed for it because they’re not necessarily everyone’s idea of a heroine. One of my best friends recently sent me a skit in which show host and comedian Stephen Colbert talks about the amazing new Barbie range, which includes role models like Frida Kahlo. While he certainly applauds the idea, he points out that the one archetype that no one ever thinks of doing a Barbie doll for is the average woman. The one simply trying to get by on a daily basis. He calls her the doing her best Barbie, because this is the doll that has smudges underneath her eyes, hair in a messy ponytail (because washing hair had to be delayed for yet another day) and is wearing a jeans and a ratty t-shirt. Doing her best Barbie. The one that no one ever celebrates because she doesn’t live up to society’s idea of being the perfect role model. Societal conventions would have us believe that in order to be heroine material you either get to be cookie cutter perfect, or the manic pixie dream girl, or the ultimate achiever (don’t forget to credit the man in your life even if he had nothing to do with your success), but you can never be the woman who: cusses in public, has a public meltdown, may have an addiction problem and is aggressive and asserts her opinion. And yet, alpha males – particularly the bad boys – are applauded for their character flaws. Oh, he’s just misunderstood. His caveman behaviour is actually just him showing how much he wants and desires you and you alone. That kind of thing. And you know, I think there are definite ways to portray alpha males without being problematic, but even so, my point is that these imperfections in men are never seen as a bad thing and are celebrated and welcomed. I’m not saying that you cannot enjoy these reads, but if you are going to enjoy these books, then you should definitely be able to enjoy a book featuring a “problematic” female protagonist. Who are some of your favourite unlikeable heroines? Tell us and we will feature it in a future article on W24. Last month we had a wonderful giveaway where we offered readers a chance to win The Bikini Body Habits and Motivation Guide and The Stolen Marriage. Congratulations to the following three subscribers who’ve won: Quentin Viljoen, Nosisi Msindwana and Karima Geldenhuys. Your prizes are on their way to you. This month we’ve got something wonderful in store for you. I’ve recently fallen in love with book box subscriptions – an international craze that’s slowly but surely been taking off locally as well. 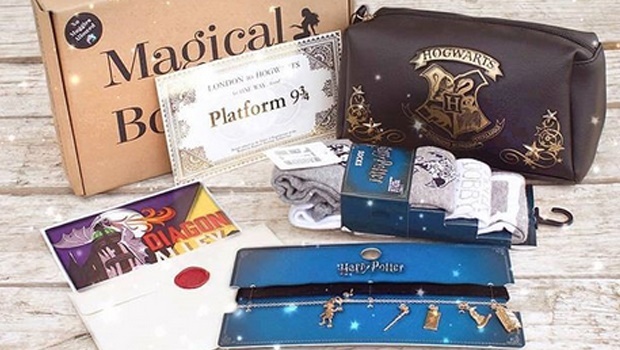 To understand the phenomenon, I chatted to Hayley – curator and owner of Magical Book Box, who compiles a box according to theme and includes all manner of goodies in the box – from a newly released title, to candles, bookmarks, tea and bookish figurines. If book boxes aren’t quite your thing, romance readers will love what the folk at Jonathan Ball publishers are offering. Mills & Boons have recently updated and revamped their catalogue to reflect and be more inclusive. To celebrate that, we’re giving away one 6 month subscription to their book club and two 3 month subscriptions to the book club where you can choose which book series you’d like to subscribe to. Yours in books and difficult characters.